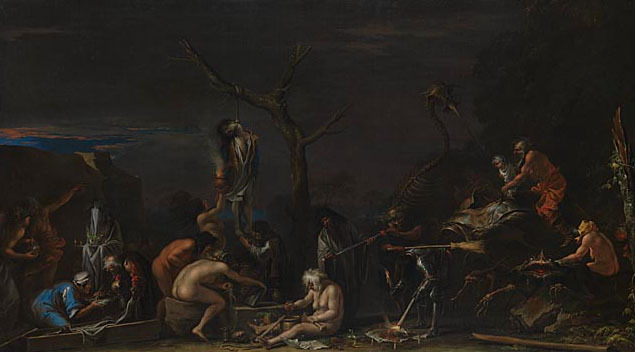 Innovative, provocative, disturbing, haunting, macabre… one cannot remain indifferent to Salvator Rosa’s art. See for instance this allegory of Poetry. The dark palette, stark, almost neutral background, brooding expression of the model create a powerful image. 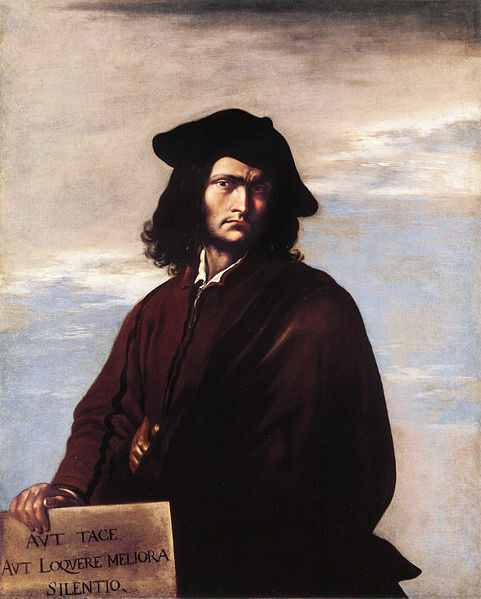 So does this self-portrait of the artist as an allegory of philosophy. But Rosa by no means limited himself to allegories. The exhibition features many of his landscapes, biblical scenes or depiction of brigands. Rosa does not strive for the picturesque: he paints puny human figures at odds with a stormy, threatening nature, or ready to meet a gruesome fate at the hands of bandits.